Daddy can be described as a big fan of Superman. He has more than a few things w the big red "S" on them. And this is the wallpaper on his computer. 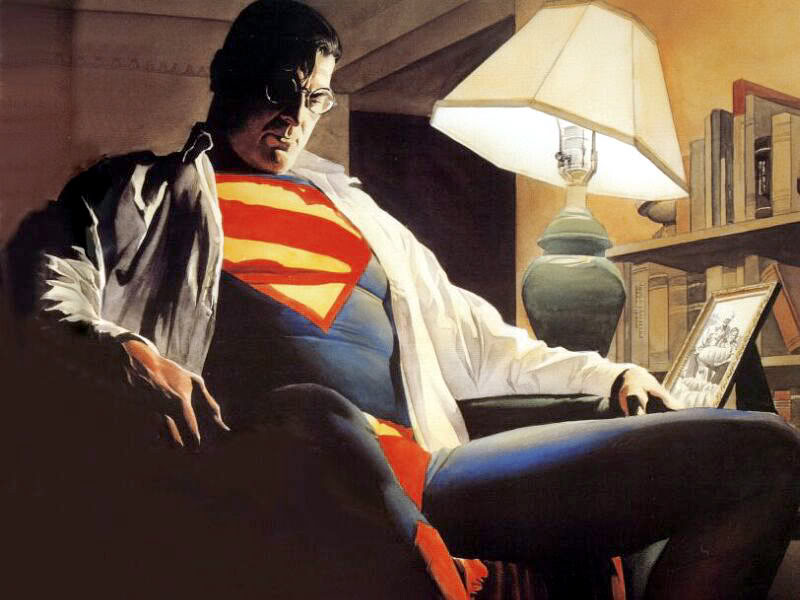 He says that he likes this picture because its not what you usually see of the Man of Steel; as tired from a long day and just needing a few moments of quiet. But I look at the picture and I see my Daddy. Daddy is my Superman. He does so much for everyone. And never asks for anything in return. Before he retired, he ran a company w several hundred employees. I think he knew every single one of them. And I remember, whenever I went to his office, how so many of them would tell me how wonderful he was or would tell me about something he had done to help them out. He continued helping people after he retired. He took a part-time job and it seems like there is always younger men asking him to hang out w them. He says they're just hanging out telling stories. But I've listened to him when they call or text him, he's more like a mentor to them. And not just about the job, but about everything including their future careers and even about girlfriends. He never brings anyone home however. He says home is his place to regroup, his fortress of solitude. This year, I want New Year's Eve to be all about Daddy. He was asked to go out w "the guys", but said he told them he was tired and just wanted to hang out at the house. I asked him if he'd like to have pizza and a movie marathon w me then. His smile told me it was a date. I wish everyone a safe and Happy New Year's. That sounds wonderful. As my dad ages, as all dads do, I want him to come out more, visit more, and I want my kids to go to him when ever we can. We may not have a lot of movie marathons left and I want to enjoy them all. I think your New Year's Eve date is a great idea.